There is a start and end date option available to present your offer to visitors. This is a great way to create promotions prior to a special event or holiday and automatically shut them off when the special ends. STEP 1: Log into your account. 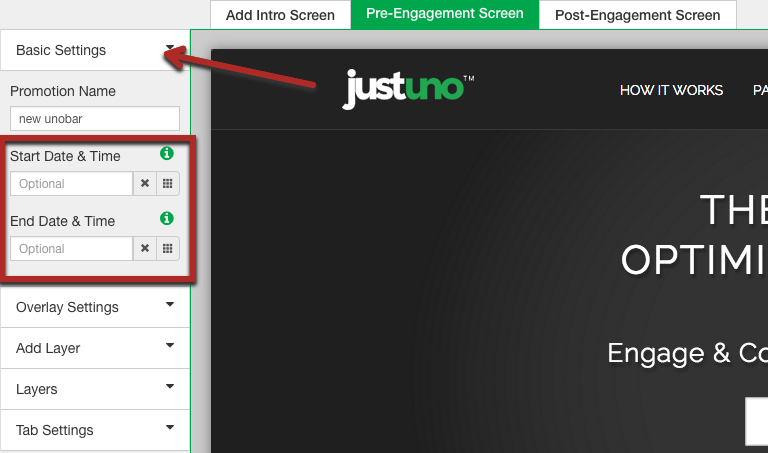 Once in the dashboard, navigate to "Promotions". 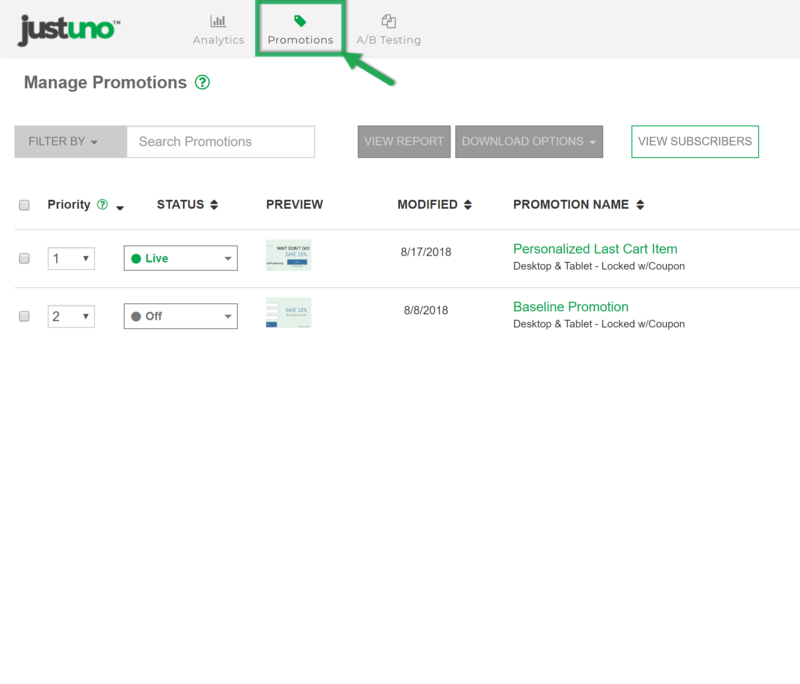 STEP 2: Once in the "Promotions" page, click on the drop-down button labeled "Actions" next to the promotion you'd like to edit. From the drop-down list, click on Edit Design. STEP 3: Once there, you'll find an area on the left that is called basic settings, there you will find date and time. STEP 4: Remember to log in after the promotion expires to ensure you will have an overlay on your site!